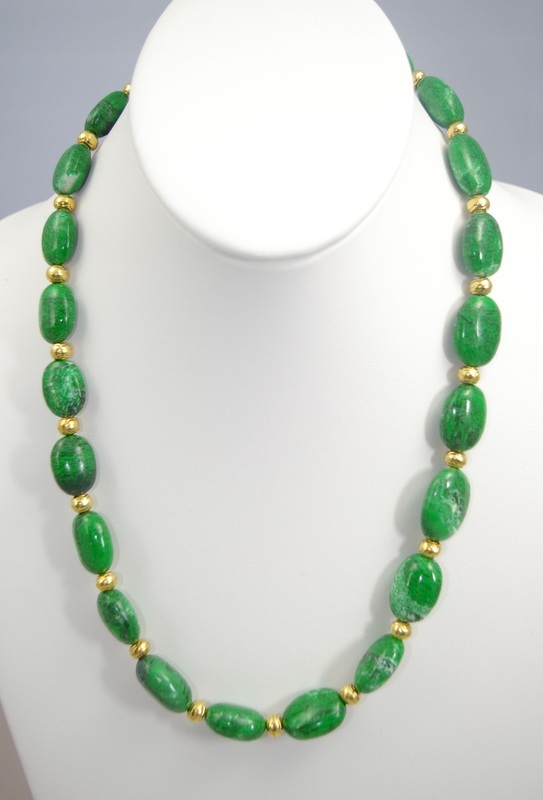 Maw Sit Sit Jade pillows with Gold Fill beads 21"
Graduated 4.5 mm to 9mm turquoise disks separated with 2mm gold fill beads. Large Heavy tiles on beads. 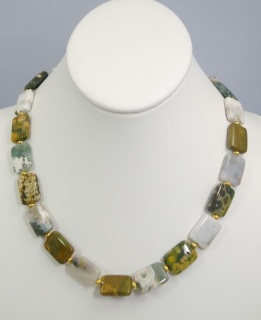 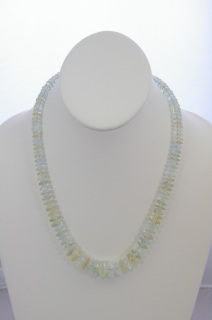 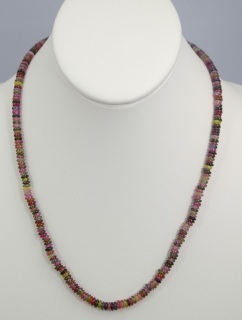 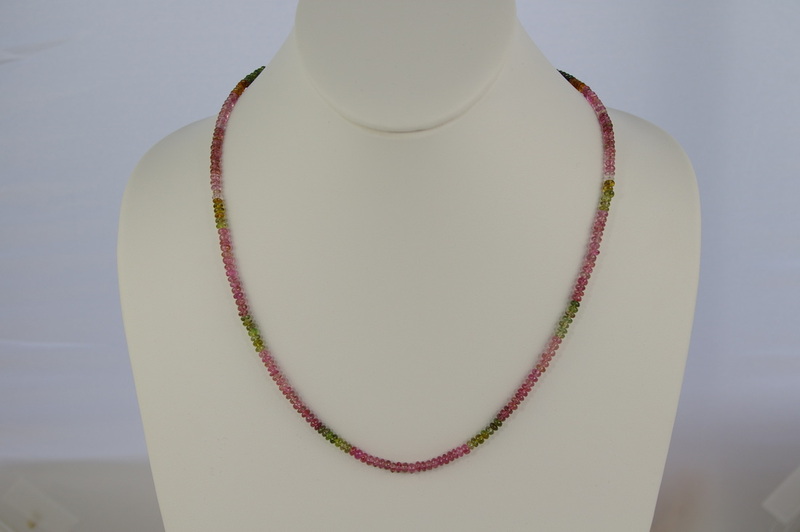 Light, multi colored beads with chain extender. 16.5 to 20.5" length. 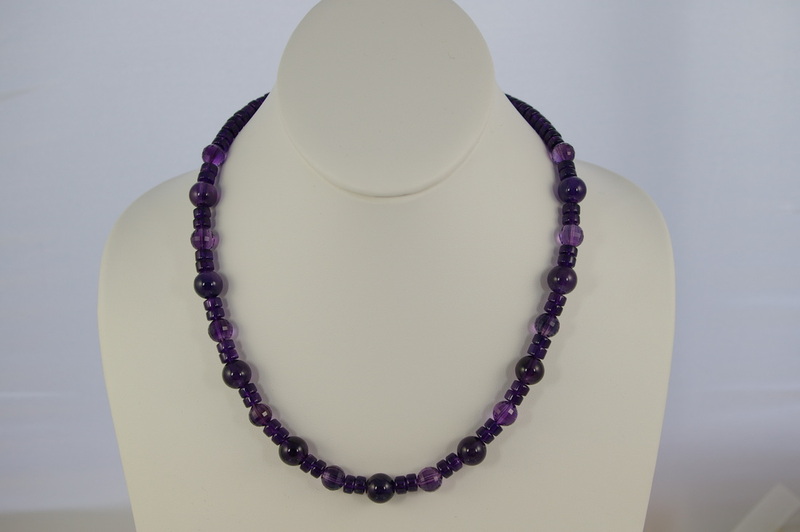 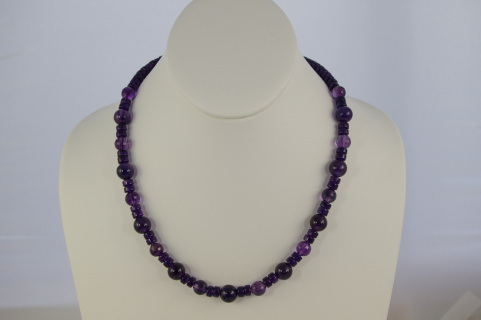 Multi shaped amethyst beads. 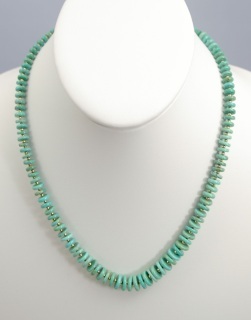 6mm barrels, 10mm faceted rounds and 1mm smooth rounds. 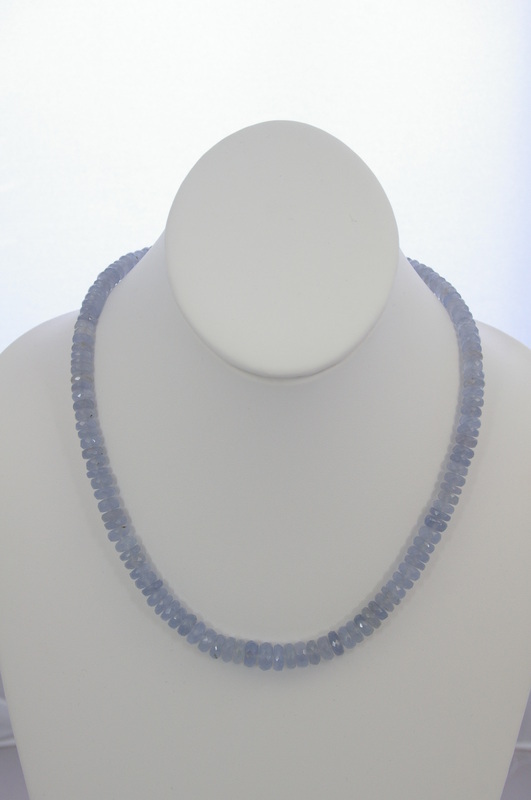 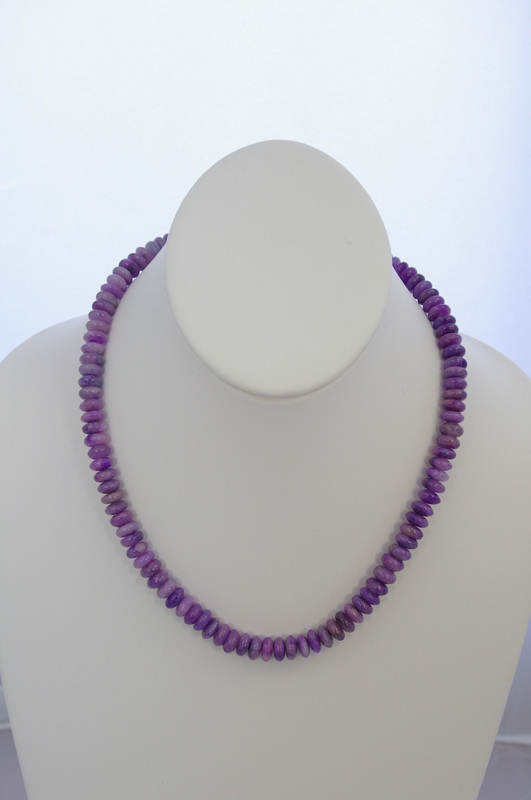 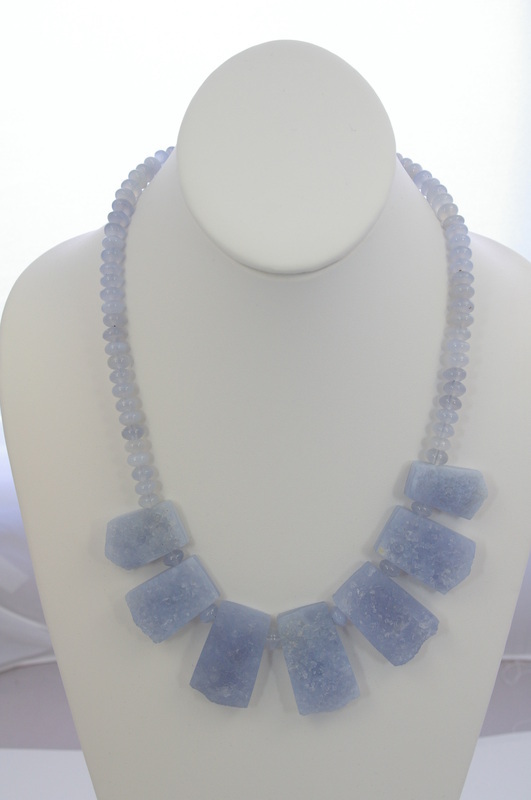 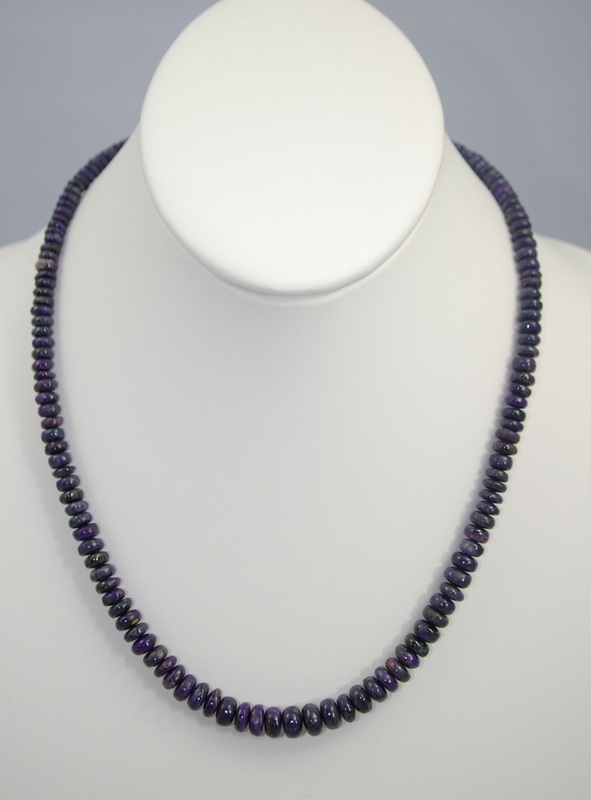 Graduated sugilite beads. 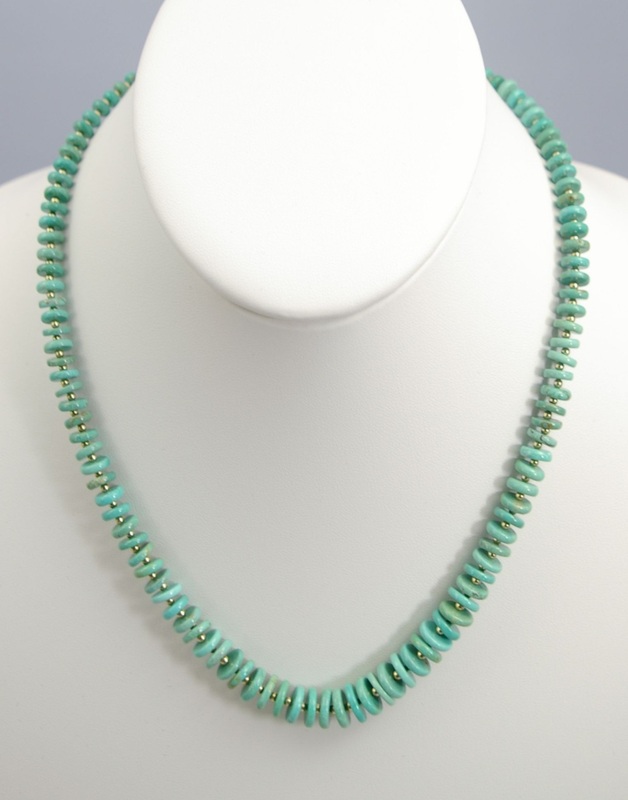 18" to 19.5" adjustable length sterling chain.